Pediatric cancer is on the rise. The incidence of cancer in children under the age of ten rose by 37 percent from the early 1980s to the early 1990s. The largest rise, 54 percent, was in children diagnosed before their first birthday.1 A third of the cases under the age of fifteen were of leukemia, a cancer of the blood that is now successfully treated in Europe and the U.S.,2 but not without side effects from the treatment. Parents of children diagnosed with cancer in the U.S. are in most cases obliged to follow the conventional standard of care according to the American Medical Association4—refusal may mean social services takes the child away. Standard of care generally involves the use of chemotherapy agents, radiation and surgery. Often steroids are used and many children must take copious amounts of antibiotics due to their resulting very low immune function. Very little direction is typically given to extraneous support such as nutrition, lifestyle considerations and other supportive therapies. In light of the well-established fact that chemotherapy and radiation are often accompanied by short- and long-term side effects,5,6 it is important to consider the numerous ways parents can provide support to pediatric cancer patients. In order to minimize the dysbiosis that typically occurs, and to alleviate its ensuing discomfort, incorporating daily servings of probiotic-rich foods and tonics is key. These include cultured dairy products (with minimal sweeteners) and lacto-fermented vegetables and tonics such as sauerkraut, kimchi and beet kvass. These foods should be truly fermented, made without vinegar. • Support anti-inflammatory systems in the body. Other probiotics to consider include CHAMP Pro Plus and HMF Natogen (for children one to four years of age) or HMF Powder (for children over four). To further support gut health and hence immunity, chemo and antibiotic therapy can be followed by the inclusion of colostrum, amino acids and essential fatty acids. If you have access to raw colostrum from pastured cows, this is ideal. If not, Colostrum-LD by Sovereign Laboratories is an excellent option. Meat stock or bone broth are the best sources of healing amino acids. Numerous companies offer amino acid supplements. Choose wisely under the guidance of an experienced health practitioner. Standard Process has two great amino acid products, Protefood and Nutrimere (Standard Process products are only available through trained authorized health practitioners. Internet purchases should be avoided as they are not supported by Standard Process and are generally more expensive.) Another excellent amino acid option is PerfectAminos by BodyHealth. Another challenge presented by chemotherapy is its burden on the liver. The liver is the primary organ that breaks down and metabolizes chemicals and then directs the body’s elimination of these substances. If the liver becomes overburdened due to a high volume of toxins, secondary elimination organs attempt to share the load.10 As these organs become overwhelmed, toxicity symptoms appear. For this reason, it is imperative to incorporate therapies that will support the liver, kidneys and lymphatic system. These therapies include castor oil packs, hydrotherapy and gentle drainage, which are discussed below. Steroids are routinely included in cancer therapy. One of the adverse effects of steroids is the weakening of bones. A high-mineral diet replete with fat-soluble vitamins A, D and K2 are critical for strengthening bones. In addition, a gemmotherapy called Ribes Nigrum can be added to support and regenerate the adrenals, the glands most negatively affected by steroid therapy. Ribes Nigrum activates the reticulo-conjunctive support tissue of the gland, thus allowing glandular stimulation in patients who have had too much cortisone.11 Please note that Ribes Nigrum is not to be used if adrenal tumors or Cushing’s syndrome are present. Use under the guidance of a trained health practitioner knowledgeable about gemmotherapy. Vitamin deficiencies commonly occur during chemotherapy. Substantial deficiencies in vitamins B1, B2, niacin, folate and vitamin K2 are often seen.12 As immune cells are knocked down, natural immunity wanes. Therefore a nutrient-dense diet and the avoidance of processed foods and sugar are critical to supporting immune status. This challenge is best addressed by following a more ketogenic version of the Wise Traditions diet, eliminating grains, fruits and sweeteners. The addition of a whole food concentrate supplement such as Catalyn from Standard Process can be supportive. Most children thrive on a more ketogenic or fast-oxidizing diet. This would be a diet high in quality animal fats with small to moderate amounts of protein from pastured eggs, beef, lamb, poultry and wild fish and large amounts of organic vegetables (always served with plenty of pastured butter!). While a ketogenic diet is ideal, this does not mean a complete elimination of all carbohydrates. A couple of root and tuber vegetables should be included daily for most children. Soaked and dehydrated organic nuts and seeds will also be a beneficial addition to the diet. • Generous servings of healthy fat at each meal such as ghee, butter, tallow, lard, duck fat and goose fat. • Full-fat raw or cultured dairy products from pastured ruminants (goat, cow or sheep). • Bone broth or meat stock. • Small amounts of protein (half one’s weight converted to grams) such as wild fish, pastured meats, pastured eggs and pastured poultry, always eaten with generous amounts of fat from fish or animal sources. • Small amounts of organ meats, especially liver, should be consumed twice weekly in order to provide the densest source of nutrition available. • Generous servings of fresh organic vegetables at each meal. • Probiotic foods two to three times daily including cultured vegetables such as beet kvass, sauerkraut and kimchi, as well as cultured dairy and fermented miso (ideally, fermented for twenty-four months or longer). • Properly soaked and dehydrated tree nuts (avoid peanuts) and seeds. In addition to feeding the child well, it is important to provide drainage therapy to help the child’s liver, kidneys and lymphatic system move toxins out of the body without interfering with the chemo agents’ role of killing cancer cells. Drainage (or biotherapeutic drainage) is often confused with detoxification. The two terms are closely related but do have specific differences. Detoxification refers to the process of cleansing a particular organ or gland or using therapeutic support to eliminate a toxin such as a toxic metal, parasite, chemical or pathogenic yeast. Detoxification tends to employ commonly used remedies without considering the individual’s elimination ability based on many factors. Biotherapeutic drainage was developed in Europe at the turn of the twentieth century. It takes into account each person’s unique metabolic status and requires a knowledge of the individual’s health history, level of health, and elimination patterns and tendencies, among other factors. The several forms of drainage remedies include gemmotherapy or plant stem cell remedies, single remedy homeopathy and complex homeopathy (such as UNDA Numbered Compounds). • To restore health and vitality naturally and in a long-lasting way. Gemmotherapy remedies are plant remedies. They are specifically derived from the most embryonic part of the various plants identified for their abilities to drain, regenerate and restore function to particular organs and glands. These remedies are made from young plant parts, including buds, rootlets, shoots or stems. The targeted portions of the plant are gently extracted and diluted using water, glycerin and alcohol. Examples of gemmotherapy remedies often prescribed as support during cancer treatment would include Juniperus Communis, Ulmus Campestre and Pinus Montana. These remedies should be taken only under the supervision of a well-trained health practitioner who will assess the individual in light of his disease state in addition to other factors. Ulmus Campestre, the English elm tree bud, is very effective in supporting kidney and skin drainage. In addition to supporting detoxification, Ulmus Campestre enhances remineralization of the tissues that are often depleted during chemical treatments. Another very gentle remedy, Pinus Montana, supports lymphatic tissues, which transport toxins to the liver. Additionally, Pinus Montana encourages the regeneration of bone, cartilage, ligaments and tendons,18 making it an excellent consideration for those being treated for bone cancer. In addition to remedies, castor oil packs are a kind of drainage therapy that can be done easily at home. The castor bean (Oleum ricini) is known principally as a cathartic (strong laxative). With a pack placed over the abdomen, usually with heat applied, the oil is absorbed into the lymphatic circulation to provide a soothing, cleansing and nutritive treatment. A castor oil pack can be applied once or twice daily over the liver-gallbladder region or the entire abdomen. This will increase circulation in the gut associated lymphoid tissue (GALT) and thus improve detoxification. The castor oil pack is specific for non-cancerous uterine fibroids and ovarian cysts. Other conditions that seem to respond well include headaches, liver disorders, constipation, intestinal disorders, gallbladder inflammation or stones, conditions with poor elimination, infertility, nighttime urinary frequency and inflamed joints. It is not to be used during pregnancy, heavy menstrual flow, if an IUD (intrauterine device) is present or in the presence of internal bleeding. 1. Fold flannel into three layers to fit over entire abdomen. 2. Soak flannel with castor oil. Fold flannel in half and strip excess from pack. Unfold. 3. Lie on your back with your feet elevated (use of a pillow under your knees and feet works well), placing oil-soaked flannel over abdomen, cover with an old towel and place a hot water bottle on top. 4. Leave pack on for 45-60 minutes. Practice relaxation breathing by placing one hand on your diaphragm and the other hand on your lower abdomen. As you breathe in, force your lower abdomen to swell like a balloon. With each breath out, practice relaxing your jaw and shoulders. As you practice more, relax all muscles in your body. 5. Store the castor pack in the refrigerator in a large plastic bag. Add more oil only as needed to keep the pack saturated. Replace the pack after it begins to change color. 6. To remove the oil, wash with a solution of 2 tablespoons of baking soda to 1 quart water, using a non-toxic laundry soap. For maximum effectiveness, apply the pack as often as possible—at least four consecutive days per week for at least four to six weeks. Daily use provides the most beneficial effects. Drainage also includes simple therapies such as massage and hydrotherapy. These therapies can enhance homeopathy and gemmotherapy. Each of these therapies encourages the tissues of the body to release stored toxins. The result is reduced inflammation and enhanced detoxification processes. The simplest form of hydrotherapy is an Epsom salt bath. Simply add one cup Epsom salt to a warm bath. Epsom salt, also known as hydrated magnesium sulfate, is high in magnesium and sulfate. These two minerals are absorbed through the skin. Together they help detoxify the body of chemicals, pharmaceutical drugs and environmental toxins. Magnesium is also very relaxing to the nervous system. To enhance the therapeutic process of the Epsom salt bath, add a couple of drops of a high-quality lavender essential oil to the water. After a warm bath (or a warm shower), cool down with a cool water spray—another form of hydrotherapy. Use a cool water spray down the legs and arms and finish with the lower back for thirty seconds. This increases blood flow to the internal organs. This is a beneficial practice for anyone, with or without cancer. Another form of hydrotherapy are hot and cold compresses. These can be especially soothing to inflammation anywhere in the body. This treatment may be used for headaches, earaches, sinus aches and any other form of inflammation. The entire procedure will take about ten minutes once all materials are organized. 1. Soak one face cloth in hot water. Wring it out so the water is not dripping. Place the face cloth over your nose and eyes and leave for three minutes. 2. Have the second face cloth soaking in cold water. Wring it out and place over the same area for thirty seconds. 3. Repeat this alternating technique two more times for three times in all—hot for three minutes followed by cold for thirty seconds. In an effort to provide support to the immune challenge of cancer, supplementation using high-quality formulas should be considered. As stated above, Catalyn, a multiple whole food concentrate from Standard Process, is an excellent multi-vitamin, trace mineral and enzyme formula. Catalyn contains concentrates from organic alfalfa, carrot, beef and fish liver lipids, yeast, wheat germ, rice bran, liver, mushroom, green peas (whole plant) and organic corn.19 Synthetic multi-vitamin formulas are missing the cofactors that are found in nature alongside specific vitamins. Routine intake of synthetic vitamins can contribute to metabolic imbalances. As Philip Norman, MD, has stated, dietary excesses (such as those seen with high-dose synthetic vitamin formulas) aggravate dietary deficiency states.20 For this reason, long-term usage of synthetic vitamin formulas should be avoided, especially by children. Additional immune boosters like Immuplex, a food-based product, and mushroom-based formulas such as Epimune Complex or Immune-Assist can be given in child-appropriate dosages. The therapeutic use of various mushrooms exists in many cultures around the world. Some mushrooms counter the side effects of both chemotherapy and radiation, such as nausea, bone marrow suppression, anemia and lowered immunity.21 Practitioners in the East value maitake mushrooms for their ability to activate a number of immune responses due to their high concentration of beta-glucan polysaccharides. These polysaccharides enhance phagocytosis as well as effector cell activation. Phagocytosis is an immune system process whereby immune cells, like neutrophils, B lymphocytes, macrophages and dendritic cells, ingest and engulf other cells. Effector cells are relatively short-lived activated cells whose job is to defend the body in an immune response. The inclusion of mushroom formulas is not contraindicated with chemotherapy or radiation. Next on the list are essential fatty acids along with fat-soluble vitamins A, D and K2. Every cell in the body depends upon good fats in order to create and maintain structural stability. Most of the body’s necessary fatty acids are made within the body. Essential fatty acids are those that are not made by the body and, therefore, come from our food. The two essential fatty acids are omega-3 and omega-6. From omega-3 and omega-6 fatty acids, the body makes prostaglandins. Prostaglandins include both anti-inflammatory and pro-inflammatory series, which the body needs in varying degrees under different circumstances. Beef, chicken, pork and eggs are often unduly villainized as sources of omega-6 arachidonic acid, said to be pro-inflammatory. However, arachidonic acid plays many important roles in the body, including in the bodies of cancer patients. While it is true that conventional beef and poultry raised on unnatural diets high in soy, corn and other grains do have higher ratios of omega-6 to omega-3 fatty acids,22 this is not the case when animals are raised outdoors on their natural diets. Such animals produce a balanced ratio of omega-3s to omega-6s. This is one reason the Weston A. Price Foundation has always promoted the use of pastured meats, poultry and eggs, as well as wild fish and seafood. Maintaining a balance of omega-3s to omega-6s is needed in order to keep inflammation from getting out of hand. Fish oils and flaxseed oil are two of the most abundant sources for omega-3 fatty acids. Unfortunately, due to vitamin B6 deficiencies (often as a result of not consuming organ meats), many people are unable to adequately utilize the polyunsaturated fatty acids contained in flaxseed oil and all fresh oils. Furthermore, fish oils and flaxseed oil can easily go rancid (most commercial fish oils are rancid from the beginning); they also can lead to overdosing on omega-3s—just as problematic as overdosing on omega-6s. The best way to provide omega-3 fatty acids is with small amounts of unrefined cod liver oil. Vitamin B6 is naturally occurring in cod liver oil and enhances the usability of the polyunsaturated fatty acids. In addition to vitamin B6, the body needs sufficient amounts of vitamins C, B3, magnesium, melatonin and zinc to produce the anti-inflammatory series 3 prostaglandins.23 This is why a widely varied diet and the inclusion of nutrient-packed liver is so vital. An even more important reason to consume unrefined cod liver oil is its vitamin A and D content. Vitamin A is the key vitamin for fighting cancer, and vitamin D supports the actions of vitamin A. (Please see the WAPF Shopping Guide for the best brands of cod liver oil.) Remember that vitamins A and D work synergistically with vitamin K2, found in aged cheese, poultry fat and liver, lard, butter and egg yolks. These foods are essential for the cancer patient. Astaxanthin crosses the blood-brain barrier and the central nervous system better than most other antioxidants. It is for this reason that BioSuperfood F1 provides protection when undergoing radiation therapy or CT/PT scans.28 For those persons having radiation therapy, a much higher dosage may be warranted. BioSuperfood F3 contains higher levels of the same micro-algae. BioSuperfood F1 can also be used to offer protection from radiofrequency and electromagnetic field pollution (cell phone usage, cell tower radiation, etc.) as well as for those taking long airline flights during the day, when radiation exposure is highest. BioSuperfood F1 serves as an excellent source of all known vitamins, minerals and trace elements, as well as thousands of enzymes, protein and antioxidants. It contains essential fatty acids, including omega-3s, omega-6s and omega-9s, as well as gamma linolenic acid (GLA), an essential fatty acid that acts as a hormone precursor and supports tissue growth and regeneration. Additionally, certain micro-algae are effective in eliminating toxic metals, such as cadmium, mercury, lead and copper.29 The average dosage is one to three capsules for children and three to six capsules daily for adults. In addition to BioSuperfood F1, miso soup should be used after radiation therapy. Studies indicate that miso prevents radiation injury.30 Use miso that has been fermented for a minimum of six months and ideally up to twenty-four months. Choose a miso that has been stored in a glass jar. 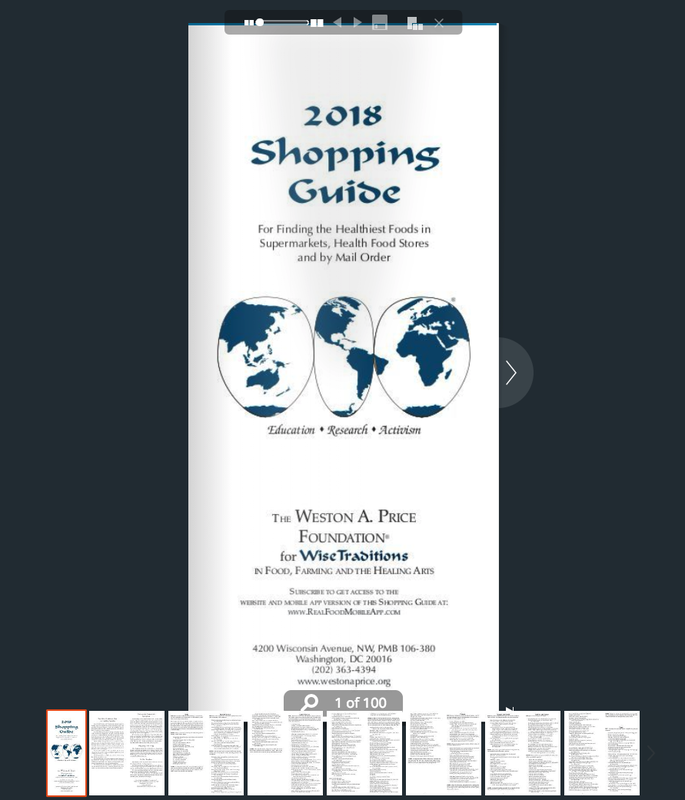 (Please see the WAPF Shopping Guide for best choices.) For optimal nutritional benefit, miso should be made with homemade fish broth. (Please see the recipe in Nourishing Traditions by Sally Fallon.) When making miso soup, always add miso at the end once the heat has been turned off to avoid destroying enzymes. A cup of miso soup daily during radiation therapy is recommended. Another excellent supportive home therapy is a bath of sea salt and baking soda. This is used by some radioactive isotope specialists to lower their body burden of radiation. Simply add one pound each of sea salt and baking soda to a warm bath. Then soak for 20 minutes or longer. Follow with a cool water rinse. Clay baths are also beneficial. One cup of bentonite clay may be added to a sea salt and baking soda bath or done separately.31 These baths can be done daily during radiation exposure. Pancreatic enzymes have two functions. The first is to digest foods that enter the small intestine from the stomach. For the purpose of food digestion, pancreatic enzymes are best taken with meals. Secondly, pancreatic enzymes digest abnormal cells, turning them into a liquid substance that can then be eaten up by the immune system via phagocytes. The body cooperates in eliminating this metabolic waste by moving it through the liver and then excreting the waste in one of three pathways: the colon through feces; kidneys and bladder through urine; or the skin by sweating. In this way, high-dose pancreatic enzymes assist the body in eliminating harmful toxic cells and toxins. William Kelley, DDS, Edward Howell, MD, Frank Shively, MD, and Nicholas Gonzalez, MD, went on to further his work and the use of high-dose pancreatic enzymes. The pancreatic enzymes should be derived from the highest quality pastured animals, with optimal levels of trypsin and chymotrypsin. Pan-Immune is an exceptional high-dose pancreatic enzyme product that is formulated according to Dr. Kelley’s original enzyme formula. The enzyme formula must be encapsulated and swallowed as such. Capsules should not be opened and taken directly as powder. High-dose pancreatic enzymes are extremely detoxifying and, therefore liver function must be well supported in order to maintain gentle detoxification. Castor oil packs, coffee enemas, magnesium, dry near-infrared saunas as well as gemmotherapy are supportive means of assisting the body in gentle detoxification. Those persons diagnosed with cancer should be under the guidance of their allopathic oncologist and a qualified health practitioner experienced in the use of high-dose pancreatic enzymes to determine appropriate dosage. Each person’s needs are unique and extreme caution should be used in regards to children’s needs. Do not attempt to incorporate the use of these modalities on your own. Hands-on osteopathic manipulative therapy (OMT) involves using the hands to diagnose, treat and prevent illness or injury. OMT can be used to promote healing, ease pain and increase overall health and mobility. Osteopathic physicians (known as DOs) go through the same medical training as a medical doctor (MD) with additional training in the science of osteopathy. After completing four years of osteopathic medical school, DOs complete internships, residencies and fellowships and become licensed and board certified. While many DOs choose to practice allopathically after their residency, they all understand how the body’s systems are interconnected and how each system affects the others. In general, DOs obtain advanced skills in providing preventive and comprehensive care, with a keen understanding of the body’s interconnected systems of nerves, muscles and bones. With this in mind, DOs approach the body with a respect and sensitivity that allows the body to direct the order and way in which it is treated. This approach facilitates the body’s natural tendency toward self-healing. Regular osteopathic manipulative treatments encourage the person’s ability to better handle the often-taxing conventional cancer therapies. OMT offers an excellent complement to any cancer treatment program. To locate a hands-on osteopathic physician near you, please go to osteopathic.org. Nature provides us with a bounty of support for all illnesses. Essiac tea is a great example of one such support for cancer. Essiac tea was introduced to a Canadian nurse, Rene Caisse, in 1922 by a woman who had cured her cancer using this herbal concoction passed on by a Native American medicine man. The English woman who shared the formula with Rene had used it in 1890 when she was diagnosed with breast cancer. Almost thirty years later, this breast cancer survivor was alive and well, thanks solely to what has come to be known as Essiac tea. Rene named the tea after her surname, spelled backwards. In 1924, Rene gave Essiac tea to her aunt who was stricken with stomach cancer, and then later to her own seventy-two-year-old mother, who had been diagnosed with inoperable liver cancer. Both were healed and lived twenty-one and eighteen years longer. What’s in this therapeutic tea? Essiac tea consists of four herbs: burdock, sheep sorrel, slippery elm and turkey rhubarb. Burdock root is known to be a potent blood purifier, which assists the body in eliminating toxins. It supports the kidneys, bladder and liver. It also contains a wide range of minerals, including iron. Burdock root can be added to bone broth, then gently simmered for hours to increase the therapeutic benefits of bone broth. Sheep sorrel contains a natural substance with significant antioxidants and anti-leukemic factors. Slippery elm contains beta-sitosterol and a polysaccharide that both have demonstrated anti-cancer activity. Although Rene’s original formula may have included Indian rhubarb, today turkey rhubarb is used, perhaps due to its more pleasant taste. It has anti-inflammatory and anti-bacterial properties. It also encourages regular elimination. Essiac tea can be obtained from numerous vendors online but use discernment and make certain the formula contains all four herbs. For those looking for the convenience of a tablet form, with very high-quality standards, Mediherb makes Burdock Complex, which is available through health care practitioners who carry Mediherb and Standard Process. (Do not buy Mediherb or Standard Process products online as vendors selling online are in violation of Standard Process’ policy and may not be trustworthy.) Essiac tea and Burdock Complex assist the body’s elimination processes and the overall cleansing activity of the body. Astragalus is another favorite herb to use for those challenged by cancer. In Chinese medicine, use of astragalus encourages vitality and assists the body’s natural regeneration and repair functions. According to Michael Murray, ND, “Research in animals has shown that astragalus apparently works by stimulating several factors of the immune system, including enhancing phagocytic activity of monocytes and macrophages, increasing interferon production and natural killer cell activity, enhancing T-cell activity, and potentiating other antiviral mechanisms. Astragalus appears particularly useful in cases where the immune system has been damaged by chemicals or radiation. In immuno-depressed mice, astragalus has been found to reverse the T-cell abnormalities caused by cyclophosphamide, radiation, and aging.”33 Mediherb makes Astragalus Complex, which adds Echinacea purpurea and Eleutherococcus senticosus root. Frankincense has antitumor and strong immune-stimulant properties, with antidepressive effects.35 Research indicates that myrrh has antitumor and neuroprotective functions.36 It is often used to support those with brain cancer. These two essential oils can be safely incorporated into a child’s supportive care by diffusing or applying topically to the spine or the soles of the feet. Not to be overlooked is the importance of providing a non-toxic home environment for all, but especially for children challenged by cancer. Start by eliminating all chemical pesticides and cleaning products from your home and garden, and replacing them with non-toxic products or homemade alternatives. 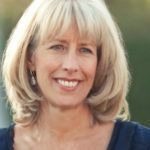 Debra Dadd offers two excellent resources for creating a non-toxic home. Toxic-Free and Home Safe Home are her most recent books. Both offer a plethora of information. A diagnosis of cancer challenges the individual and the family to look closely at their diet, their homes, their work and their lifestyles. Rather than a death sentence, we can face a diagnosis of cancer as a wake-up call for a more conscious and conscientious lifestyle. The strategies outlined above have helped many individuals, young and old, sail through conventional treatments with minimal side effects. These same strategies will support those who just say no to chemotherapy, radiation and even surgery, choosing alternative holistic therapies instead. The therapies and remedies discussed in this article are not intended to be used as cures for cancer but rather to support the pediatric cancer patient who is in the care of a qualified oncologist. These suggestions should be given under the guidance of a trained health practitioner with the approval of the patient’s attending physician. It is often out of adversity that positive movements begin. The KICKcancER Foundation is one such example. Josh and Season Johnson established the KICKcancER Foundation after their two-year-old son, Kicker, was diagnosed with acute lymphoblastic leukemia. Season Johnson, as a nutritional therapy practitioner, understood the principles of the Weston A. Price Foundation and knew the vital role diet would play in their son’s ability to survive cancer and the conventional cancer treatment, which they were required to have for Kicker. She and Josh quickly enlisted the support and guidance of other health care physicians and experts to provide optimal support for their son. • Follow the Wise Traditions diet for pregnant and nursing moms at least six months prior to conception and throughout pregnancy and lactation. Avoid soy products. • Minimize or eliminate processed meat as well as fried, grilled or well-roasted foods which contain acrylamide, a known carcinogen. • Pregnant women should avoid X-rays and CT scans. Avoid giving your child X-rays and CT scans. • Follow the Wise Traditions schedule for introducing foods to babies and toddlers and keep your child on the Wise Traditions diet. • Avoid soy products and do not give them to your children. • Avoid painting a nursery yourself if you’re pregnant and avoid exposing a newborn to a newly painted nursery. Avoid exposure to oil-based paints and solvents during the first few years of a child’s life. • Use only deep orange or red night lights in children’s bedrooms. • Sleep with an air purifier, especially if you live in an urban area. The article continues with a description of alkylglycerols, long-lasting lipids that have immune-stimulating qualities, which have been isolated from shark oil. But why separate out a single compound to sell in an expensive pill when you can just eat bone marrow? Unfortunately, modern Western people are not used to eating bone marrow, and its dark color can be unappetizing. Restful sleep is one of our most important tools for promoting healing. As stress is reduced and metabolic balance restored, sleep will become more restful. Sleep is critical to optimal hormone function, a healthy metabolism, tissue and organ regeneration and overall good health. Consider the following sixteen lifestyle recommendations for promoting deep sleep for your child and yourself. 1. Establish a routine for bedtime by getting to bed at the same time every night. 2. Increase your child’s time outdoors in nature free of sunscreen. This, along with a diet high in cholesterol from animal fat, will enhance her production of vitamin D. This helps establish a normal circadian rhythm. 3. Give your child ample time each day in quiet. 4. Establish a routine for meal times by having breakfast within an hour of waking and finishing dinner at least three hours before bedtime. Always eat slowly in a relaxed environment. 5. Stabilize blood sugar throughout the day by eating three regular meals four to five hours apart and have a butter-honey mixture or a healthy fat-rich snack in between meals. 6. A pinch of sea salt taken at bedtime will support deep and restful sleep. 7. Throughout the day, consume adequate amounts of purified or spring water (roughly half your weight converted to ounces), including water-based liquids such as herbal teas, beet kvass, kombucha and bone broth. 8. Minimize external stressors, such as an over-committed schedule, unhealthy relationships and toxic chemical-ridden personal care products (sunscreen, lotions, makeup, etc.). 9. Shut down electronics a couple of hours before bedtime to avoid being overstimulated by the devices’ glaring blue light. Computer screens are designed to look like the sun, which is fine during the day but not conducive to sleepiness as the sun sets. If watching a movie or TV at night, use amber glasses. 10. Create an environment conducive for sleep. Sleep with a window cracked for fresh cool air. Use blackout window coverings in bedroom to secure darkness. 11. Eliminate electric clocks or devices near your bed. Replace electric clock in bedroom with a battery-powered one. 12. Use a white noise machine in bedroom. 13. Add flux to your computers, which will warm the screen lighting to the time of day, warm at night and like sunlight during the day. This free app can be downloaded by going to justgetflux.com. 14. Turn off your cell phone or put it in airplane mode at bedtime. 15. If you live in a crowded city, sleep with an air purifier in your room. 16. If possible, position your bed so you sleep in a north-south position. 1. Mangano, JJ. A rise in the incidence of childhood cancer in the United States. www.ncbi.nlm.nih.gov/pubmed/10379458. 2. Boesley, Sarah. Recorded childhood cancers rise by 13% worldwide, study finds. The Guardian. www.theguardian.com/society/2017/apr/11/recorded-childhood-cancers-rise-worldwide-world-health-organization. in 16 years. The Telegraph. www.telegraph.co.uk/science/2016/09/03/modern-life-is-killing-our-children-cancer-rate-in-young-people/. 4. Black, LLM, Lee. Limiting Parents’ Rights in Medical Decision Making. AMA Journal of Ethics: October 2006, Volume 8, Number 10: 676-680. 5. Chemotherapy for Childhood Leukemia. American Cancer Society. www.cancer.org/cancer/leukemia-in-children/treating/chemotherapy.html. 6. Late Effects of Childhood Cancers. Cancer. Net Editorial Board. 3/2017. www.cancer.net/navigating-cancer-care/children/late-effects-childhood-cancer. 7. E. Montassier et al. Chemotherapy-driven dysbiosis in the intestinal microbiome. Alimentary Pharmacology and Therapeutics. July 6, 2015. 8. Scmidt, Michael A. Beyond Antibiotics. North Atlantic Books. Berkeley, CA. 2009. p. 157. 9. Campbell-McBride, Natasha. Gut and Psychology Syndrome. Mediform Publishing. Cambridge. 2010. p. 103. 10. Winters, Nasha, and Kelley, Jess Higgins. The Metabolic Approach to Cancer. Chelsea Green Publishing. White River Junction, VT. p. 103-4. 12. Moss, Ralph W. Questioning Chemotherapy. Equinox Press. Brooklyn, NY. 1995. p. 156. 13. Seyfried, Thomas. Cancer as a Metabolic Disease. 16. Williams, Louisa. Radical Medicine. 2nd ed. Rochester: Healing Arts Press, 2011. 17. Rozencwajg, Joe. Dynamic Gemmotherapy: Integrative Embryonic Phytotherapy. Natura Medica Ltd. September 2008. p. 73. 19. Lee, Royal. The Product Bulletins. 6th edition. International Foundation for Nutrition and Health. 2001. San Diego, CA. 21. Seema Patel and Arun Goyal. Recent Developments in Mushrooms as Anti-Cancer Therapeutics: A Review, 3 Biotech 2, no 1 (March 2012): 1-15, doi:10.1007/s13205-011-0036-2. 23. Winters, Nash and Jess Higgins Kelley. The Metabolic Approach to Cancer. Chelsea Green Publishing. White River Junction, VT. 2017. 24. Thomas, Roland. Awakening the Genius Within. Quantum Leap Wellness Publishing, Ontario, Canada. 2009. 26. Beutner, S et al. Quantitative assessment of antioxidant properties of natural colorants and phytochemicals: carotenoids, flavonoids, phenols and indigoids. The role of β-carotene in antioxidant functions. Journal of the Science of Food and Agriculture. 81: 559-568. doi: 10.1002/jsfa.849. 27. Spallholz, JE. Free radical generation by selenium compounds and their prooxidant toxicity. Biomedical and Environmental Sciences Journal. 1997 Sep;10(2-3):260-70. Review. PubMed PMID: 9315319. 29. Thomas, Roland. Awakening the Genius Within. Quantum Leap Wellness Publishing, Ontario, Canada. 2009. 31. Pitchford, Paul. Healing with Whole Foods. North Atlantic Books. Berkeley, CA. 2002. 32. Gonzalez, Nicholas and Linda Isaacs. The Trophoblastic and the Origins of Cancer. New Spring Press. New York, NY. 2009. p 115. 33. Murray, Michael. Textbook of Natural Medicine, Volume 1. Churchill Livingstone. London. UK. 1999. p 485. 35. Rose, Jeanne. 375 Essential Oils and Hydrosols. Frog, Ltd. Berkeley, CA. 1999. p 81. 37. Tisserand, Robert and Rodney Young. Essential Oil Safety. Churchill Livingston. London, UK. 2014. p 170. 39. Stewart, David. The Chemistry of Essential Oils Made Simple. Care Publications. Marble Hill, MO. 2013. p 13. 40. Williams, Louisa. Radical Medicine. 2nd edition. Rochester: Healing Arts Press, 2011. p 310. 43. Erron, Thomas C. Shift Work and Cancer. Deutsches Arzteblatt International. 2010 Sep; 107(38): 657–662. I am hoping you can guide me to finding *very specific* information about a well-documented, natural cancer cure. Has any type of scientific analysis been done on the plant commonly known as Sheep Sorrel (Rumex acetosella)? (e.g. GC/MS?) More specifically, I am searching for a comparative study of the roots vs aerial parts, both parts of which were prescribed in the original Essiac Tea formula. In searching for a company that includes Sheep sorrel roots in their blend, I was told by one that “our trusted herbalist” maintains that roots are “not necessary.” In frustration at such irresponsible tinkering (as I first supposed), I started wondering if today’s technology might have, indeed, revealed that medicinal constituents of the roots are no different than those of leaves and stems. That is why I am turning to the Foundation, after hours and hours of fruitless searching online. I did, however, find one thesis reporting the GC/MS testing of the European relative of Sheep sorrel, Common sorrel (Rumex acetosa). And while the author indeed described Common sorrel, the photos and illustrations were of Sheep sorrel (Rumex acetosella)! In addition to this confusion, no mention was made about which plant parts were used for GC/MS testing. To summarize, I am looking for information on whether GC/MS testing has been done on isolated parts of Sheep sorrel (roots vs leaves and stems), which would substantiate or refute the importance of roots in the Essiac tea blend. If none is known, can anyone with the Price Foundation recommend a trusted laboratory who could do such testing? Lastly, during my search I read that hydro-anthracene has been identified in both Sheep sorrel and Turkey rhubarb (both used in Essiac Tea) and that hydro-anthracene is known as a powerful anticancer agent – lending credence to the historical use of the tea! I was incensed to read further that its synthetic form is now patented, which will surely give rise to yet another new cancer drug…all the while Big Pharma / AMA / FDA debunks Essiac tea (and other natural cures) and smears those who promote them. The Foundation is a champion of truth. For the sake of so many possibly being duped – and paying for it with their lives – please help me get to the bottom of this. Thank you for your time and consideration. I am interested in what you find out.